At some point, we probably had similar situations having employees we wonder why we hired them. No one feels worse about a bad fit than the contractor when an employee needs to be let go gently or immediately fired. Other times anger is the first emotion when fraud, side jobs or other forms of theft has occurred. For the contractor business owner, the work must go on. Schedules need to be kept, and the additional workload falls on someone. That someone could be you, your spouse and/or both of you (who are already overloaded with tasks). Frustration comes from trying to discover quickly and easily what was left undone, what is the most critical, when can it get done, how to get it done and who is the best person to do it (yesterday). Employee training and development is crucial to retaining the right people to work with you and grow your profit. 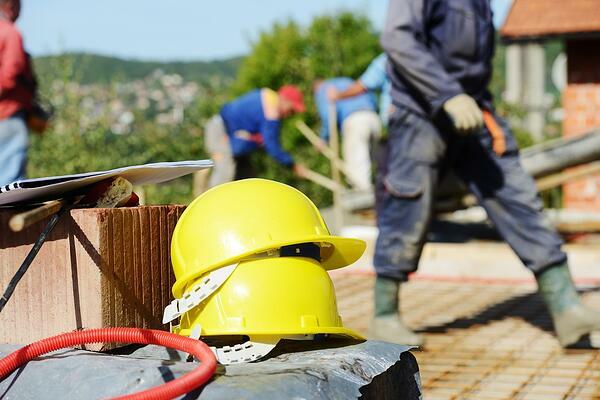 Nonetheless, complications regarding productivity and time management will still occur on a job site. Of course, it’s the project manager’s burden and responsibility to talk with the problem employee, regardless of their personal relationship – it has to be done. Focus on actions, not personality traits. When a construction worker is causing trouble, you need to "have a little chat" and talk with them about the results of their actions. Focus on the position or project and the specific actions that are causing the problems. “You need to stop doing _____, and start doing _____” is more effective than playing the blame game or lecturing. “You're screwing _____ up” or “Why can't you get your work done right and on time?” puts the worker in a defensive mood and can lead to a boxing match without time to sell tickets and put up a beer garden. Construction workers that cause problems are challenging the authority of the chain of command. If you suspect they are trying to destroy your company there is a good chance you are right. If they are a problem from the first day of their employment consider getting rid of them immediately. A good rule of thumb is: "If you think you should fire someone, you are already fifteen minutes too late". Your construction company has to work together as a team and even one trouble maker will drag your company down. See my article on Leveling Up Makes Money. Every construction company I have been involved with had problem employees that BS their way through the hiring process or suddenly became a problem employee at some point. The responsibility falls on management to deal with it and after you do you will likely hear from the other construction workers how glad they are the bad apple is gone. It never hurts to be polite. Discuss the issues privately, never, ever in front of anyone else. Show some respect and it will go a long way in keeping things calm and cool. Be careful with too much honesty. Telling a construction worker what you think of their personal lifestyle, beliefs and habits are just not smart. I have met a few people who felt it was their duty to "Tell it like it is" and yes it is true, plastic surgery has come a long way in helping those people get fixed up. Dealing with difficult situations is never easy. Always encourage positive dialogue among your subordinates and practice what you preach. 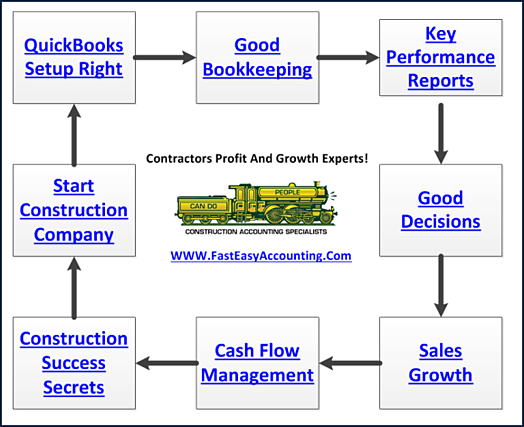 I have a lot more to share with you so if you are interested in having a conversation about how we can help you grow your construction company sales and profits please contact us at 206-361-3950, email sharie@fasteasyaccounting.com or leave a comment below. Randal DeHart, PMP, QPA is the co-founder of Business Consulting And Accounting in Lynnwood, Washington. 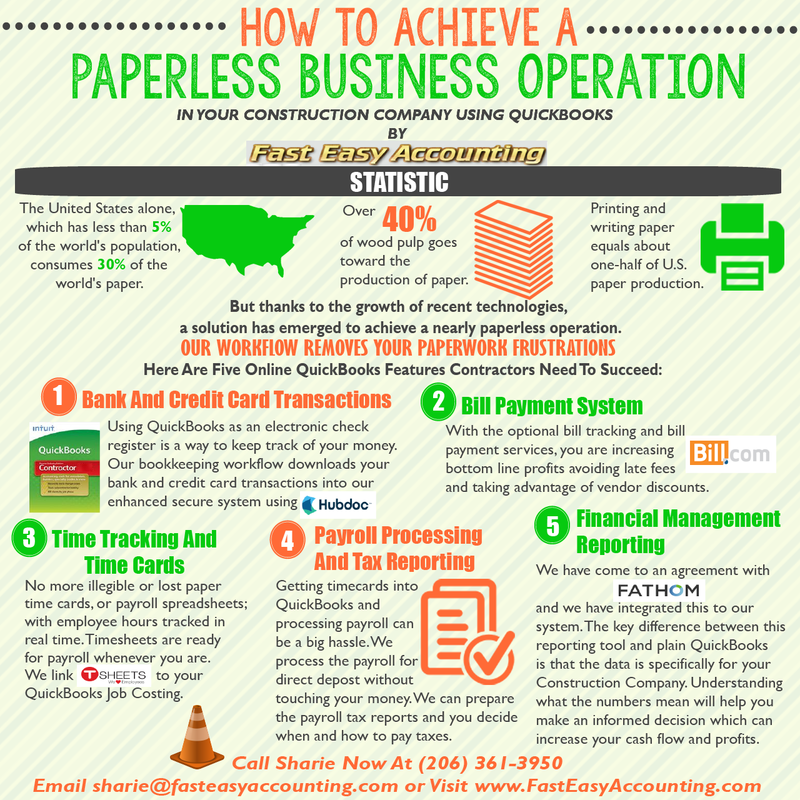 He is the leading expert in outsourced construction bookkeeping and accounting services for small construction companies across the USA. He is experienced as a Contractor, Project Management Professional, Construction Accountant, Intuit ProAdvisor, QuickBooks For Contractors Expert and Xero Accounting Specialist. This combination of experience and skill sets provides a unique perspective which allows him to see the world through the eyes of a contractor, Project Manager, Accountant, and construction accountant. This quadruple understanding is what sets him apart from other Intuit ProAdvisors and Xero accountants to the benefit of all of the construction contractors he serves across the USA. 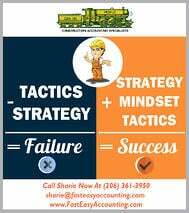 Visit http://www.fasteasyaccounting.com/randal-dehart/ to learn more. Our Co-Founder Randal DeHart - Is a Certified PMP (Project Management Professional) with several years of construction project management experience. His expertise is construction accounting systems engineering and process development. His exhaustive study of several leading experts including the work of Dr. W. Edward Deming, Michael Gerber, Walter A. Shewhart, James Lewis and dozens of others was the foundation upon which our Construction Bookkeeping System is based and continues to evolve and improve. Check out our Contractor Success Map Podcast on iTunes.